Guess who’s come to town? 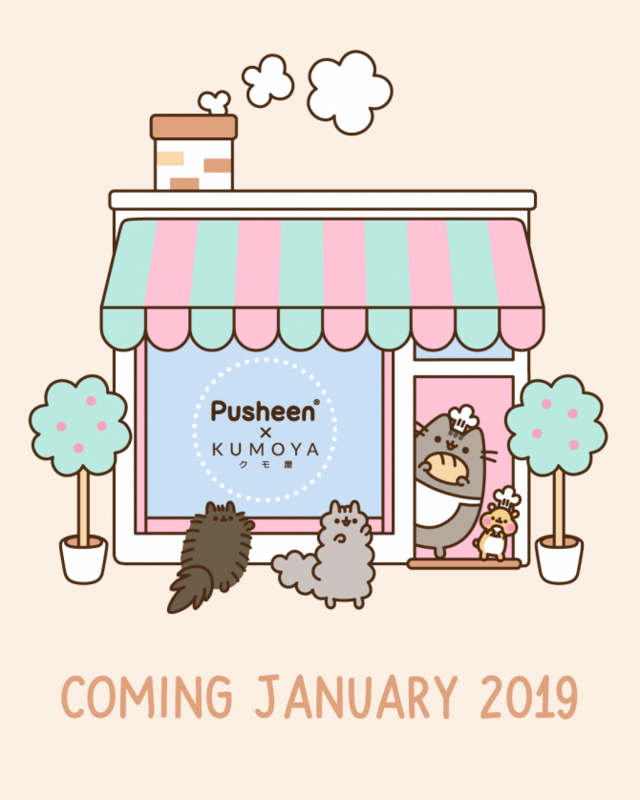 Everyone’s favourite queen of chunky cats, Pusheen, is making her way to Kumoya Cafe for a special collaboration from 6 Jan to March 2019! If you’re wondering who is Pusheen— she is a vivacious plump grey cat created by Claire Benton in 2010, and has since taken the interwebs by storm with her many gif bops and antics. Pusheen loves dressing up as different characters and hence her name tends to change according to themes, such as Pusheenosaurus, where she dresses up as a dinosaur. 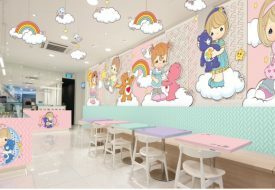 The cafe will be decked out in plenty of pastel and Pusheen decorations, exclusively designed for the cafe by the lovely grey cat’s creator, Claire Belton, and her team of designers. Not to mention the amazing food and desserts that will be sure to delight diners and cat lovers alike! 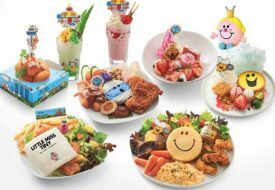 Like previous pop-up cafe concepts by Kumoya, the Pusheen cafe menu is exclusively designed and curated by Shirley Wong, aka Little Miss Bento, along with the team at Kumoya. 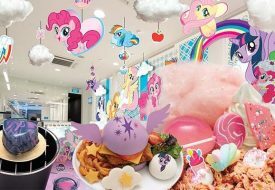 Expect to be wowed by the sheer cuteness of these mains, desserts and drinks! 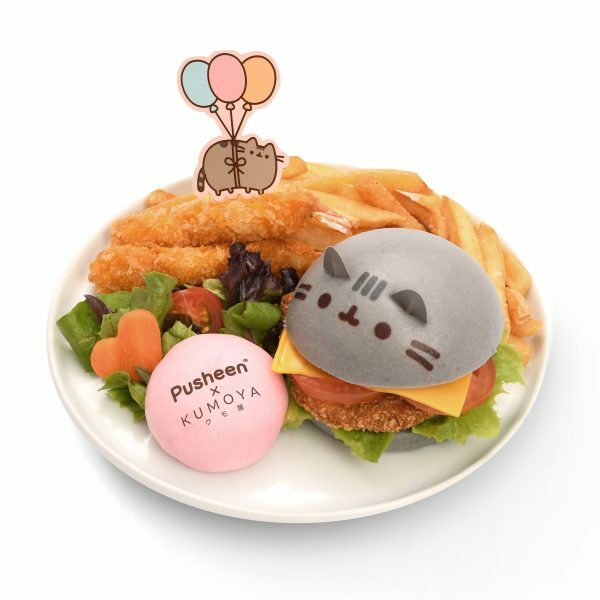 The Pusheen-in-a-Bun Ebi Burger ($19.90) is one not to be missed. Featuring a crispy prawn patty inside a cute grey bamboo charcoal mantou bun, it is dressed with veggies and sesame mayo; and comes with a side of fries and fresh garden salad. 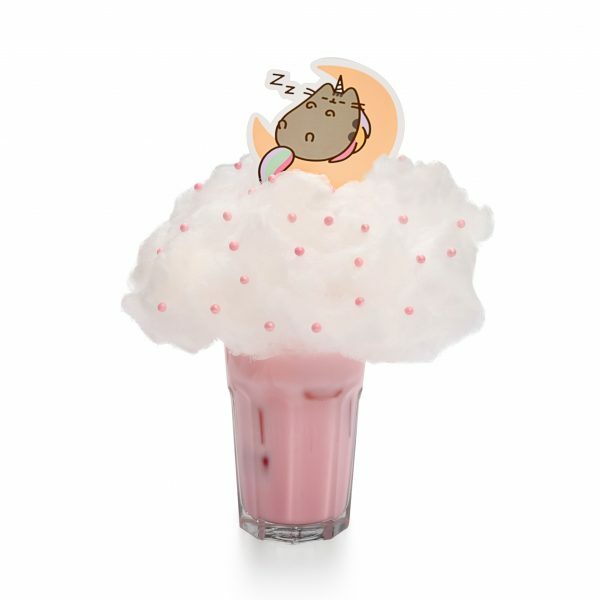 Drift off to dreamland with this adorable Pusheenicorn Pretty-in-Pink Peach Soda ($13.90) featuring pink peach soda and lychee jelly strips, topped off with cotton candy and a cafe-exclusive Pusheenicorn card topper. 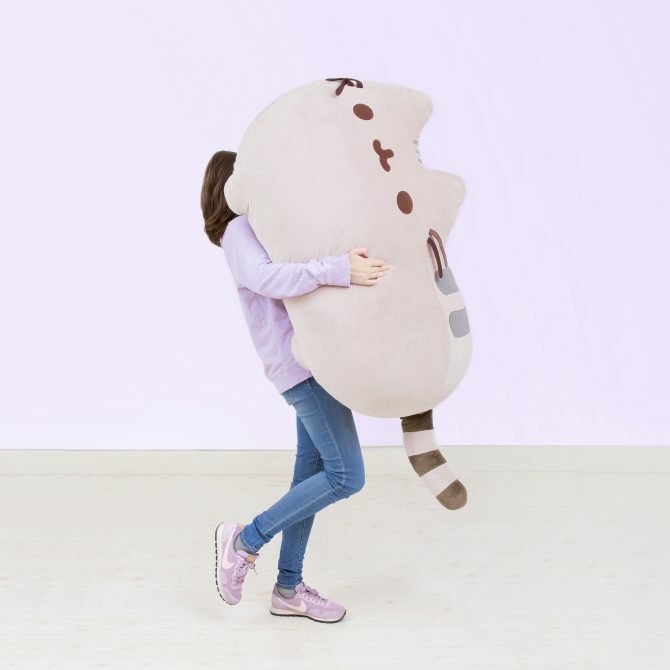 Win the chance to take home this Jumbo Pusheen Plush, worth $699.00, when you spend a minimum of $108.00 on a single receipt (one receipt per customer). The lucky winner will be chosen via raffle at the end of the pop-up cafe concept in March 2019. 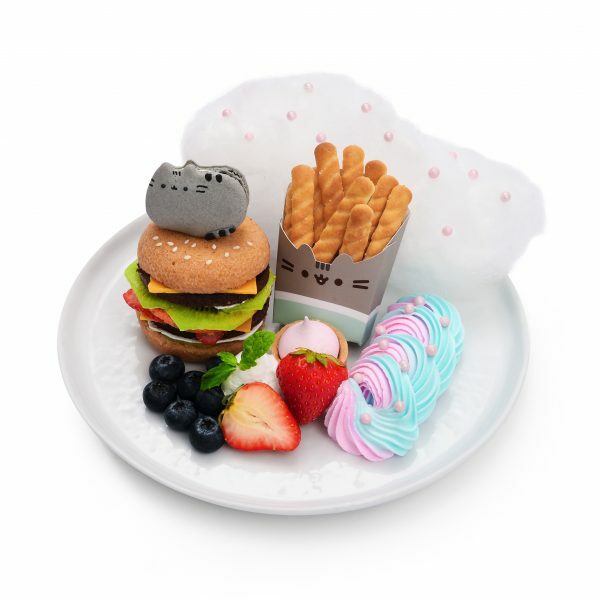 Fans of the beloved cat can also expect to find a selection of Pusheen cafe-exclusive merchandise for sale too! 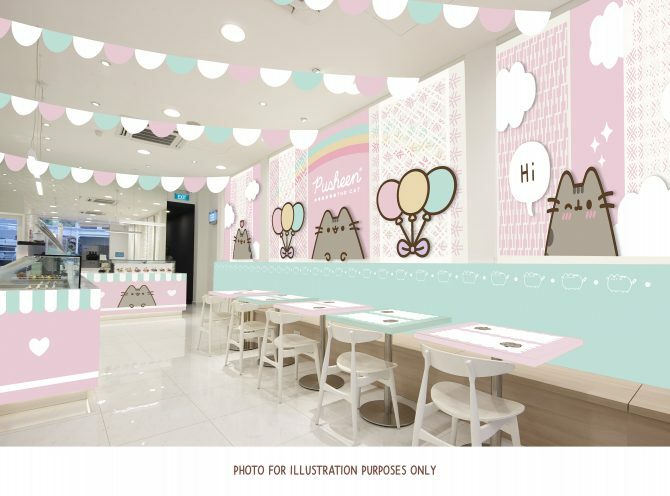 The Pusheen X Kumoya Cafe pop-up will be up and running from 6 Jan 2019 to March 2019, with a minimum spending of $10.00 per pax. A Mandarin version of the article appeared here.